This entry was posted on Wednesday, March 31st, 2010 at 11:02 AM and is filed under Uncategorized. You can follow any responses to this entry through the RSS 2.0 feed. You can leave a response, or trackback from your own site. EMC does a phenomenal job of engaging the blogger community. 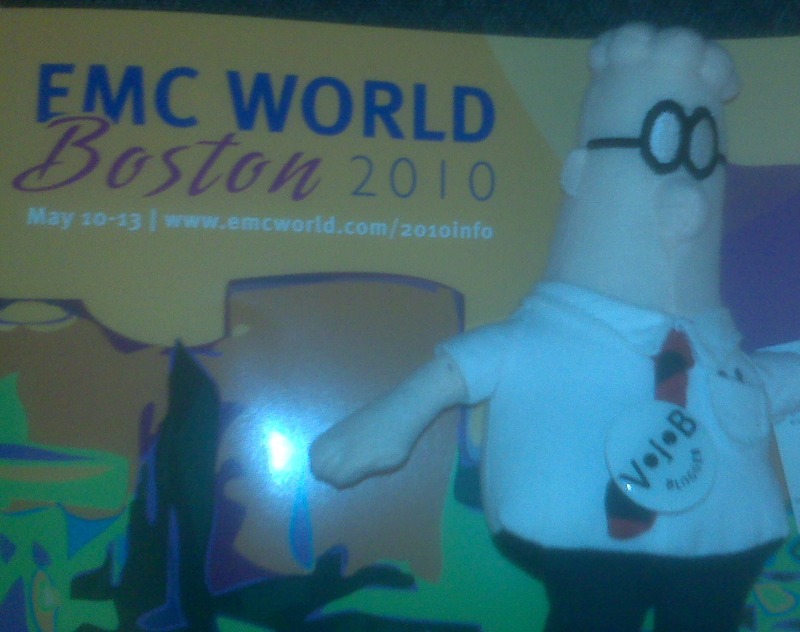 Last year’s EMC World was an eye opening experience for some of my colleagues who were new to social media. If you weren’t on Twitter, you were literally missing half the value of the event. It was the first show I had been to where social media participation was a must, not optional. I think this is becoming the norm now for events like this, but EMC really helped blaze the trail. Keep up the great work, Stu. Your community mindedness around blogging does so much to keep it vibrant. I’ll miss being part of the storage blogging scene, but I still look to you and these types of events for guidance and inspiration.